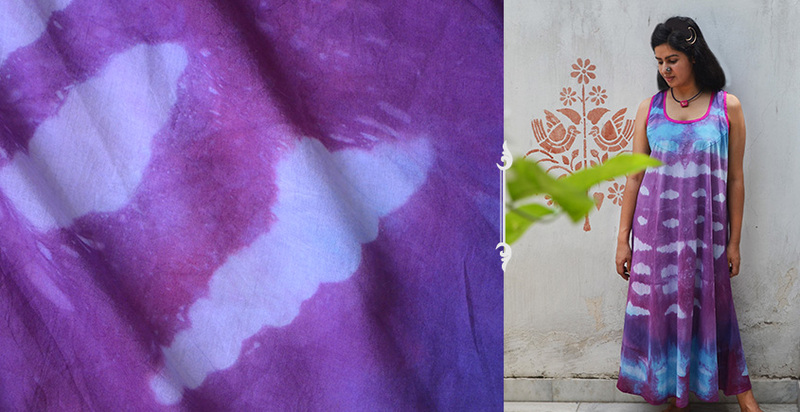 Shibori ~ Shibori is a Japanese counterpart for Indian traditional Tie n Dye Technique practised in Rajasthan & Gujarat in India & many other Asian countries. 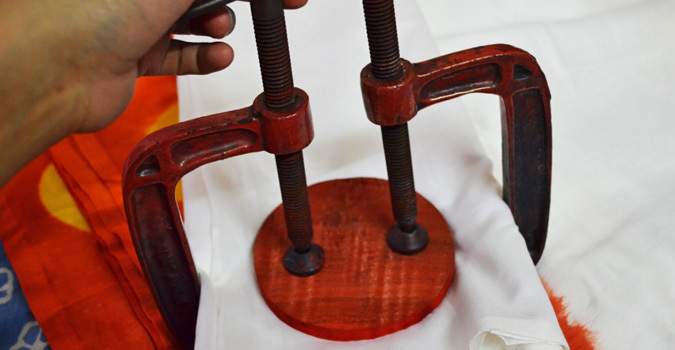 The basic principle behind the art is creating a resist in the fabric before dyeing, by means of folding, twisting, scrunching and binding using a variety of tools & equipment. The difference lies in the techniques of tying the fabric, Designs & patterns and colors used, which results in distinguishable characteristic look of each technique. The Japanese shibori often uses a white fabric (cotton /Silk) as a base and natural Indigo dye which gives a range of shades from pale sky blue to deep midnight blues as dark as black. 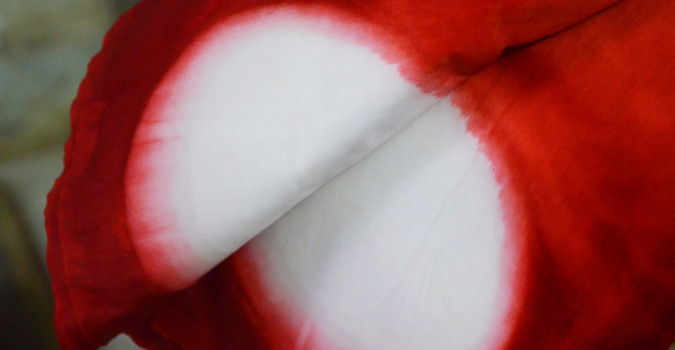 Unlike Shibori traditional Indian resist-dyeing techniques, tie-dye is characterized by the use of bright, saturated primary colors and bold patterns. 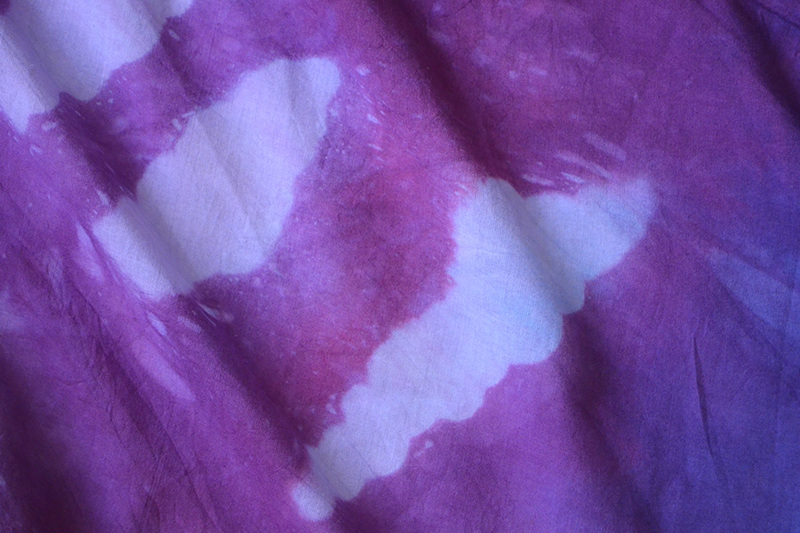 Tie-dye is a modern term invented in the mid-1960s in the United States for a set of ancient resist-dyeing techniques, and for the products of these processes. 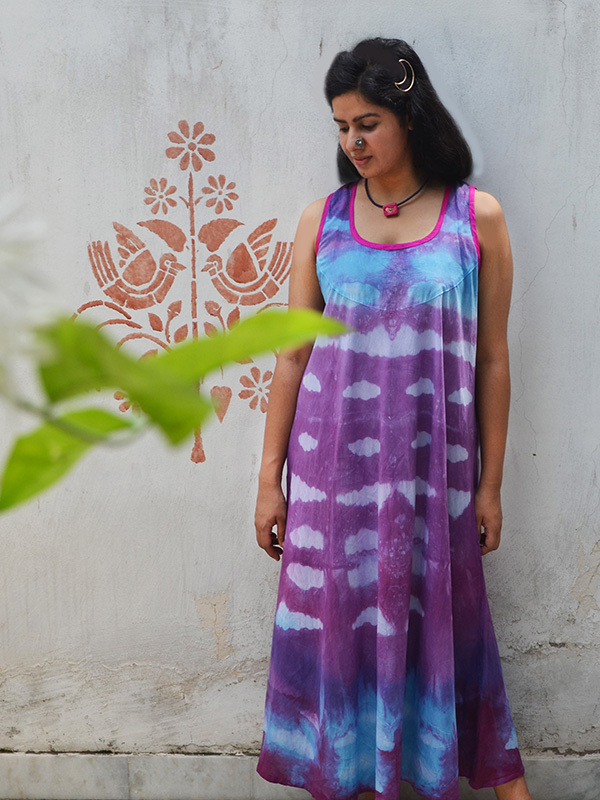 The process of tie-dye typically consists of folding, twisting, pleating, or crumpling fabric or a garment and binding with string or rubber bands, followed by application of dye(s). 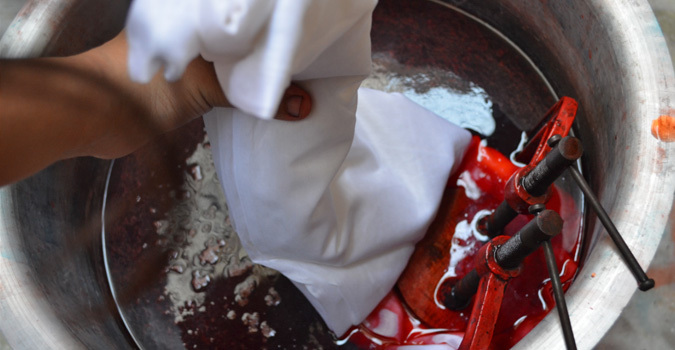 The manipulations of the fabric prior to application of dye are called resists, as they partially or completely prevent the applied dye from coloring the fabric. Shipping Order dispatched in 4-5 working days.